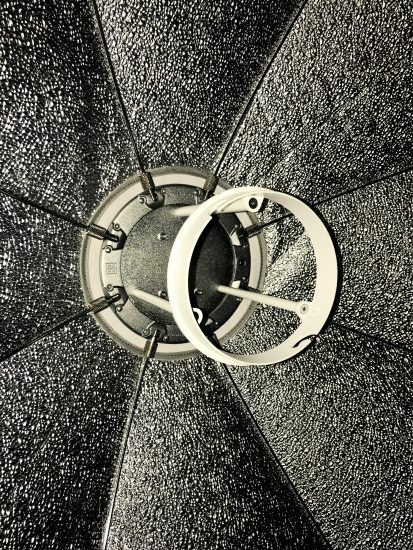 The combination of the Indirect Speedring with the Rotalux 100 creates a convincing daylight effect. Markus continues his quest to adapt different Elinchrom accessories to Godox/Flashpoint lights. This is part 2. Read part 1 here. 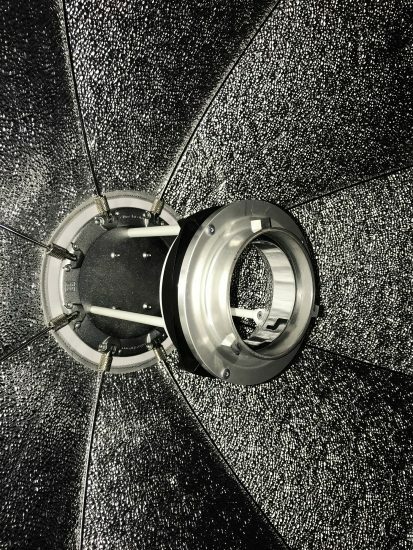 In addition to the Litemotive Indirect lineElinchrom also makes a highly interesting Indirect Speedring, intended for the Rotalux Deep Octa Indirect 150. 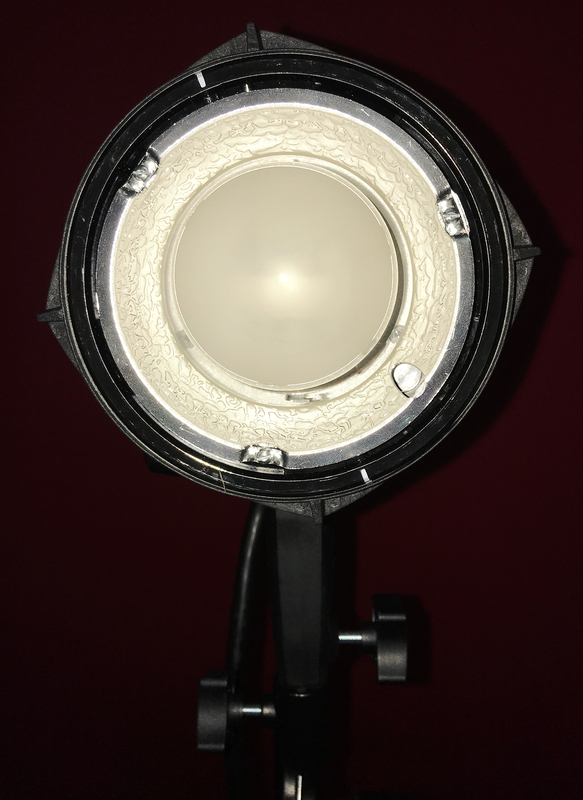 Since I already adapted the Indirect 190 as part of my current favorite key lights, the 150 seemed redundant, so I decided to try the Indirect Speedring with the shallow Rotalux 100cm Octabox. Forgoing the white inner diffuser that is part of the official 190 and 150, my rogue combination yields a wonderful, soft and even light, just as I expected. 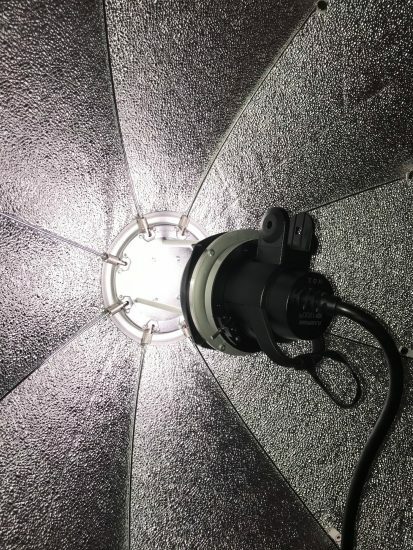 I much prefer the character of this light to any regular soft box. 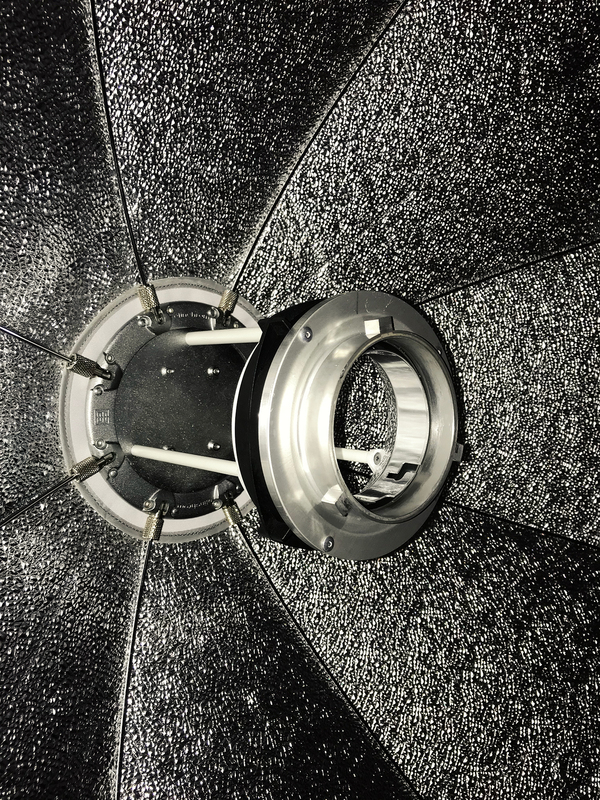 As mentioned previously, I modified a number of Elinchrom Quadra adapters by adding a custom low profile Bowens mount in place of the Quadra’s stand adapter. The success of my adaptation of various Elinchrom modifiers to fit the Flashpoint H1200 and Xplor 600 Pro, is due in part to the small reflectors that come with the Quadra adapter. This tiny, but highly efficient reflector, amplifies and enhances the Flashpoint’s output considerably, and allows to keep the inherent design of the Elinchrom modifiers intact, as their own flash heads are all equipped with this type of small reflectors. This entry was posted in Accessories and tagged Fuji Rumors, Fujifilm, Fujifilm Rumors, FujifilmRumors, Fujirumors. Bookmark the permalink. Trackbacks are closed, but you can post a comment.